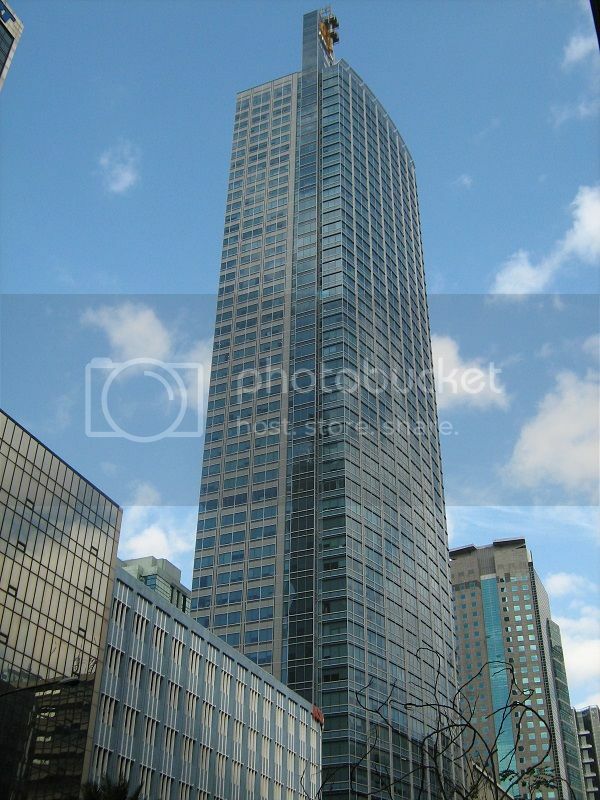 The old Jaka tower has been renewed, as Alveo Financial Tower (AFT) - scheduled height: 188 meters, with 49 storeys. Soaring high its “PBCom” signage, this skyscraper dominates to be the (now second) tallest completed building in the Republic. 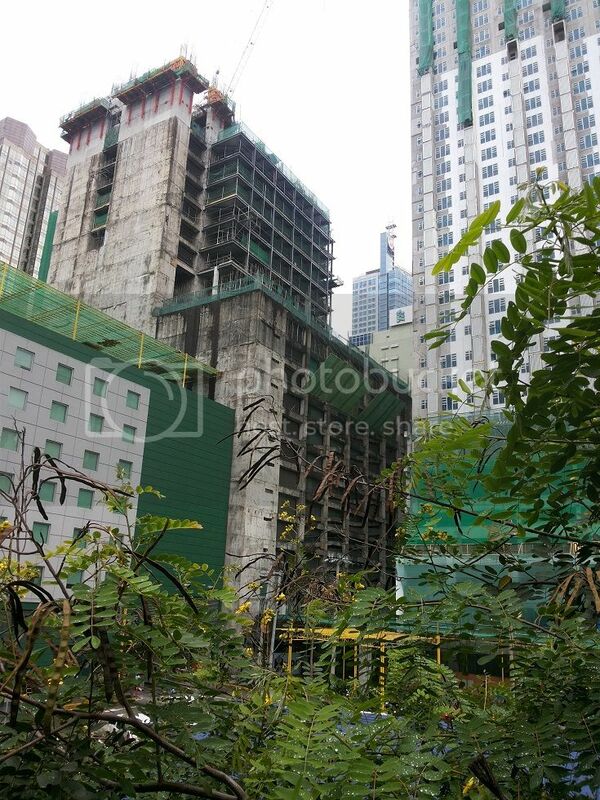 I say “completed” because as of now while I am working with this post, The Gramercy Residences along Kalayaan Avenue in Makati City is now the tallest building however, she is still under construction. The PBCom tower for most of the skyscraper is I believe to be one of the most well-known landmark along the span of Ayala Avenue. Near this office building is the unloading zone of hundreds of people from buses that come from Quezon City, Mandaluyong City, Pasig City and other places from northern Metro Manila Area. This is one of the finest infrastructure of the Philippine economy in the 21st century. Days and nights this building never sleeps. AFT will have loads of parking - 19 floors! The Saving grace is actually Vice? "Count office landlords as another major beneficiary. In the first half, online gaming companies accounted for an impressive 30 percent of new office space rented in Metro Manila, helping to cushion a slowdown in demand from outsourcing firms. Last year, the latter accounted for 60 percent of total office rentals. " But there's also a warning in that article. Is this sustainable??????????? And here's the thing about gambling money: It can leave as fast as it comes. Given that Philippine casinos have been implicated in Chinese money laundering, the risk of a reversal may not be negligible. Investors will have to hope that the online gaming boom isn't just a passing windfall. Fully foreign-owned investment houses will be allowed to operate in the country as the government will remove the restriction under the soon-to-be-released latest foreign investment negative list (FINL). Socioeconomic Planning Undersecretary Rosemarie G. Edillon said the Neda Board was expected to approve in a meeting in early September the removal of investment houses and financial investors from the 11th FINL. Every two years, the government releases the FINL, the list of sectors where foreign ownership or participation is limited. The 10th FINL issued by former President Aquino in 2015, through Executive Order No. 184, had practically kept intact the 9th FINL list of activities and sectors restricted to foreign equity and participation. 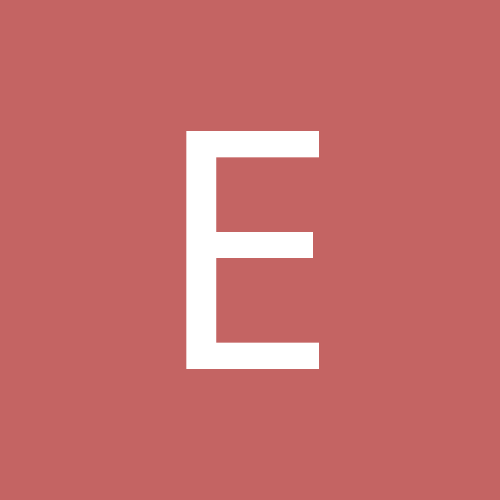 According to EO 184, financing companies and investment houses regulated by the Securities and Exchange Commission were allowed to have up to 60-percent foreign equity participation. The consensus to remove investment houses from the FINL was reached during a recent meeting of the country’s economic managers, who found that there was no constitutional restriction in the ownership of investment houses, Edillon said. “Except if it involves, let’s say, damages or collateral, then it will be subject to constitutional restriction,” Edillon said. The Neda official said certain foreign-owned investment houses had expressed interest to set up shop in the country. As soon as the restriction is lifted, the government hopes to see interested firms to establish presence in the country, Edillon said. The relaxation of foreign ownership restrictions under the foreign investment negative list (FINL) is a step in the right direction as it is expected to spur foreign investments into the Philippines. The easing of foreign ownership restrictions bodes well for the economy in general and the opportunities spill over to other key sectors such as property. The enactment of RA 10641 allowed the entry of foreign banks and this, in turn, contributed to greater office space absorption in Metro Manila. We are optimistic that the government’s decision to allow 100% foreign-owned investment houses to operate in the country should also chip in to office space absorption in the country’s capital. Moving forward, the lifting of foreign ownership cap in a number of economic sectors should also trickle down to residential, retail, and industrial segments. Can a 100% foreign owned "Investment House" own mainly Property? Do you know what income tax rate would apply to the property-related income they earn? I am not sure how this will pan out. I would think in terms of real estate that 60%/40% rule may still stick. Also land maybe a no-go. But who knows, perhaps instead of landownership they start offering 50-100 year leases like in Thailand. I wonder if this rule is to attract more equity/fixed income fund managers, banks for savings & loans etc? From the second half of 2017 up to the end of 2019, more than 700 million square feet (msf) of office space are expected to be completed and delivered across key cities globally. This is said to be the equivalent of five good-sized cities like Washington DC, Dallas, London, Singapore and Shanghai, according to global real estate advisor Cushman & Wakefield. But is there really a demand for such a huge office inventory?
. . . Throughout this global expansion, it is clear that occupiers have generally favored newly-built-high-quality space over older, Grade B and C product. 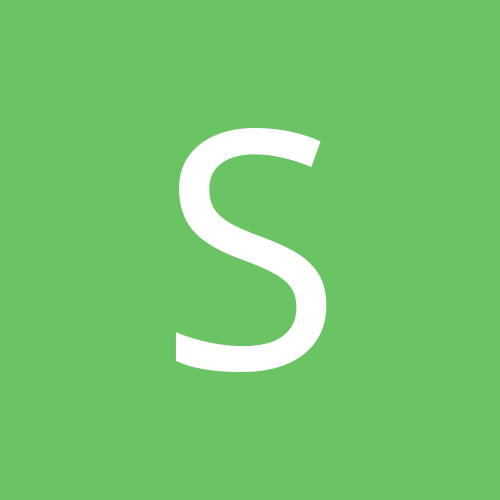 In the United States, for example, newly built space has accounted for 65 percent of all of the office space absorption since 2012,” the report stated. “Nevertheless, vacancy will generally be on the rise in most cities around world. The development boom will be led by Asia Pacific, particularly Greater China. In fact, nearly 60 percent of the world’s new construction will be concentrated in the Asia Pacific region. Within the region, new supply is concentrated in a handful of markets: Beijing, Shenzen, Shanghai, Manila and Bangalore,” it added.
. . . Manila, in particular, is expected to have 31.5 msf of fresh office space inventory between 2017 and 2019—the fourth highest among 80 cities globally, data from the report showed. Manila is likewise forecasted to post a higher vacancy of 6.9 percent by the end of 2019, ranking 12th among the 81 cities assessed in terms of having the lowest vacancy rate. It should be noted that in 2016, Manila recorded the lowest vacancy at 2.3 percent among the cities included in the report. Average rents, however, are expected to grow at a slower pace of 2.1 percent yearly from 2017 to 2019, the report added. The Bank of the Philippine Islands (BPI) said on Thursday that plans are afoot to rebuild its head office in Makati City. 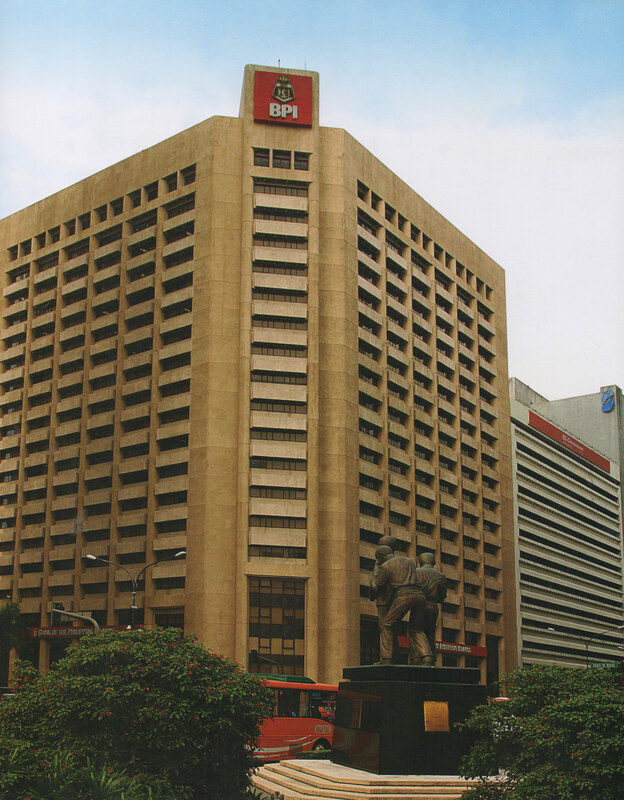 In a press conference, BPI president and CEO Cezar Consing said the bank will start demolishing its current building at the corner of Ayala Avenue and Paseo de Roxas in 2019. “Our plan is towards the end of the year, and we’ve actually started, we’re vacating,” Consing noted. Gentry Office - Not Cheap! The Gentry Corporate Plaza. Premium half floor office (830 sqm) with 7 parking slots at P248M exclusive of other charges. likely account for half of new space due to be completed over the next six to 18 months. to new space should consider buildings in Quezon City. 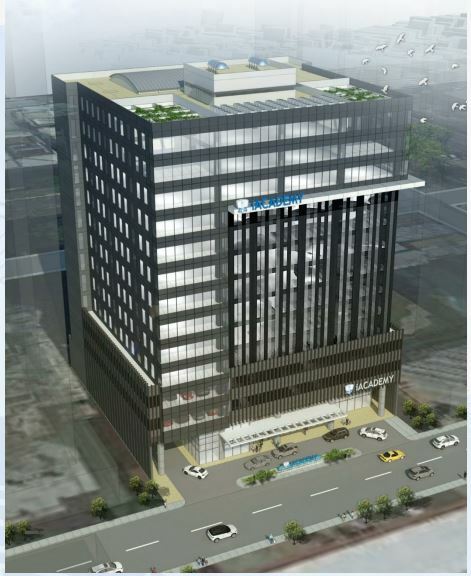 Colliers projects Metro Manila office sector to post a 5% vacancy by end-2018. We see lease rates rising by about 8% to 10% per year from 2019 to 2021. 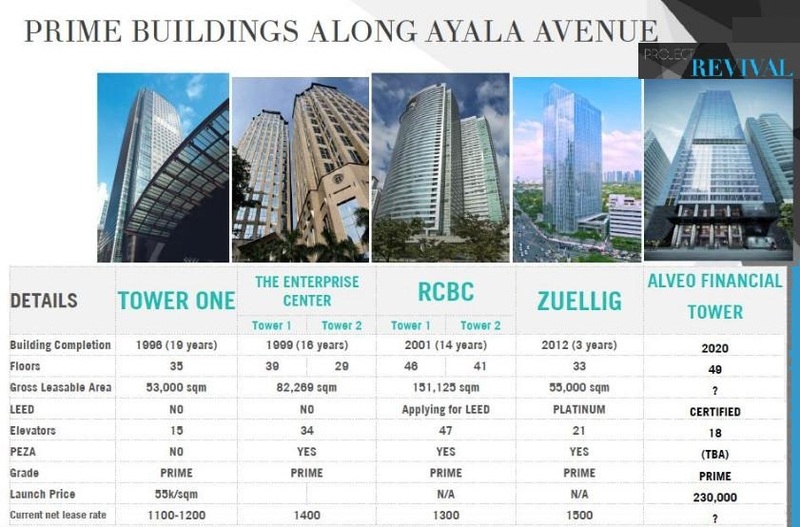 City HQ, with 19,500 GLA, sqm was the big completion in Makati in Q2. already higher than the 638,000 sq m (6.86 million sq ft) posted for the entire 2017.
the highest in Metro Manila's history." vacancy in the country’s capital remains tight, pushing these companies to look for space outside Manila. Manila such as Cebu, Pampanga, and Laguna. The national government has approved the implementation of the Metro Manila Subway Project. (2.1 million sqft) of leasable space to Metro Manila’s stock. Rick Santos of Santos Knight Frank says, “Manila has the second fastest year-on-year rental growth in Asia Pacific. It also remains as the second most affordable with one of the lowest gross effective rents." According to the Knight Frank AsiaPacific Prime Office Rental Index, Manila's prime office rents are among the Asia Pacific region's most affordable. Strong demand for prime office rents rose by 10.6% YOY during Q2 2018. Manila market has the second lowest gross effective rent of PHP 1,178 (USD 22). Manila saw prices increase 2.4% QOQ with robust BPO demand. Vacancy in Manila decreased to 4.5% from 4.9%. 60% of 1.47 million sqm of new office supply already pre-committed. Strong demand for prime office space in Metro Manila has propelled rents to rise by 10.6 per cent year-on-year (YOY) during the second quarter of 2018. Despite the increasing rent, the market remains one of the most competitive in the region by having the second lowest gross effective rent of PHP1,178 (USD 22), according to an analysis by the country’s leading commercial real estate service provider Santos Knight Frank. Manila, which was second after Sydney in YOY rental growth, saw prices increase by 2.4 per cent quarter-on-quarter (QOQ) as demand from the Business Process Outsourcing (BPO) sector remains robust. Vacancy in Manila slimmed down to 4.5 per cent, coming from 4.9 per cent in the first quarter of the year. In total, about 60 per cent of the 1.47 million square metres of new office supply in the rest of the year is already pre-committed. Santos Knight Frank forecasts that the expansion of BPOs in the Philippines will continue not only in the capital but also in the provinces as investors capitalize on favourable demographics, affordable rent, strong macroeconomic fundamentals and the strength of the dollar. + "Flexibility will be the name of the game": flexible co-working spaces (+10%pa+? ), planned communities, catering to POGO. Flex is capable of bringing down costs for employers, since it caters to a "more mobile work force"